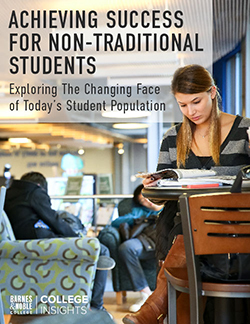 What’s the Best Way to Introduce New Students to Campus? Throw a Party. 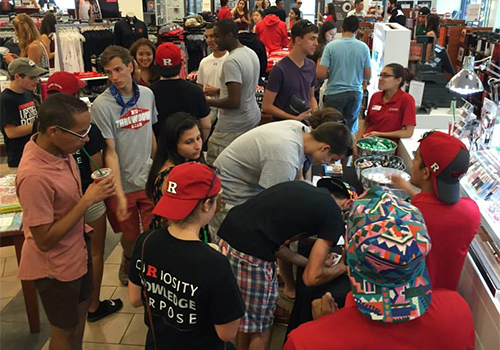 Barnes & Noble at Rutgers University partners with New Student Orientation to introduce students to campus and the bookstore. Rarely does a party generate such a buzz that despite only five days to plan, nearly 1,000 guests show up. 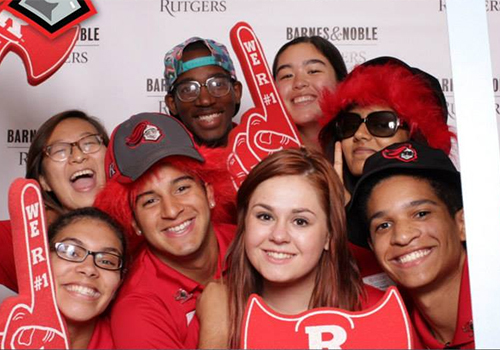 But that’s what happened at the Barnes & Noble at Rutgers University bookstore during New Student Orientation, when a steady flow of students came to check out the store’s offerings, dance to live music, enter raffles, enjoy refreshments and pose with new friends (and Scarlet Knight props) in a photo booth. The Barnes & Noble College team learned on a Wednesday that they could host the event the following Sunday after convocation. 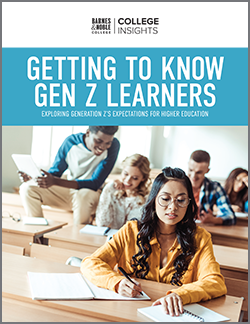 “They sent the class of 2019 email list to us and we designed an email invitation to get the word out as quickly as possible,” recalls Barnes & Noble College Consumer Marketing Coordinator Sherry Fang. Ferguson had graphics to share on his social media sites the very next day. Bookstore Manager Lew Claps praised the experienced Barnes & Noble College marketing team for making the event such a great success. “It was the wonderful partnership with the home office that really turned it around super quickly,” he says. That relationship had been tried and true when the bookstore team manned tables at New Student Orientation Fairs that took place throughout the summer. “It was a great opportunity to get out in front of people before school started,” says Claps, who answered questions about the many textbook options available and other bookstore offerings for both parents and students who attended. 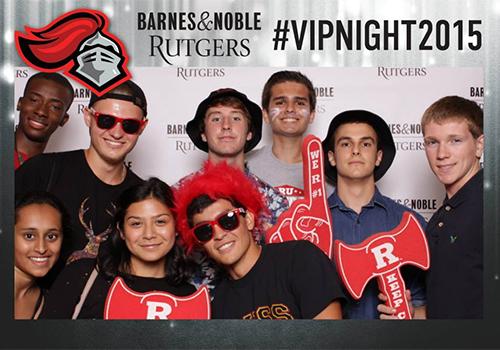 But the real action begins during Rush, when summer ends and students become ‘official’ Scarlet Knights. 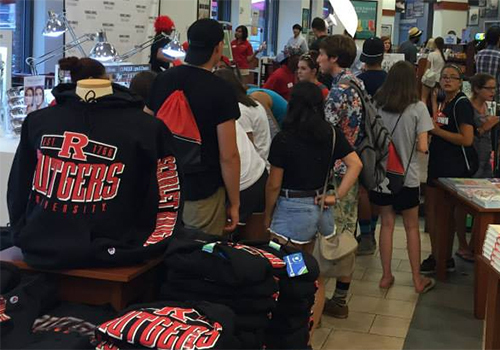 For them, the Rutgers experience is new — everything a first — including the campus bookstore. “We really wanted to enhance the whole new student experience,” Claps says. Pooling resources on other events is a goal both Claps and Ferguson are exploring. While a VIP event during New Student Orientation may be a given for next year, Ferguson predicts, “we’ll be doing more events before then.” Already in the works is a plan for a poetry open mic night during Parents’ Weekend.